When people abroad ask me what Athens is like, I’m never quite sure what to say. I can’t in good conscience recommend it without reservations, so I usually go from some variation of “it’s got great and horrible aspects” (what city doesn’t? 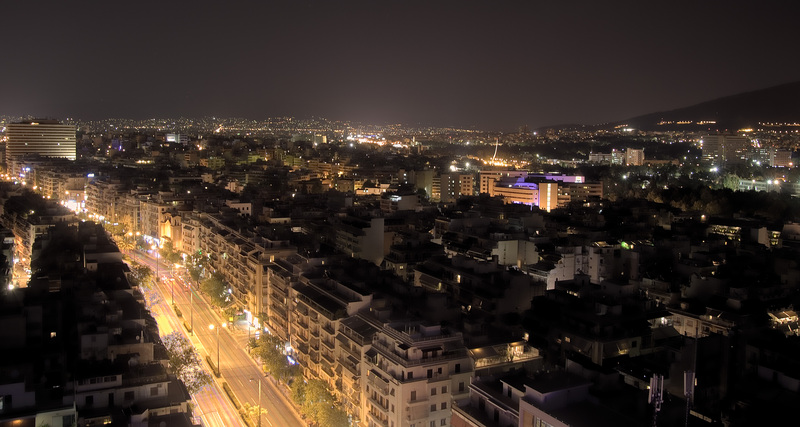 ), “walking/driving through Athens traffic is an extreme sport” (only a slight exaggeration) and “in the summer, it’s hell on earth”, usually followed up with “But definitely visit the Plaka/Thission/Monastiraki areas”. Being back home for the first time in ages, on Monday I decided to take my own advice. I had a very clear plan for my day: find a quiet café near the Athens historical centre, have a nice cup of Greek coffee (or Turkish coffee, as it’s known everywhere else, though I would strongly advise against asking for that here) and doing some writing. Unfortunately, I failed to account for the fact that the combination of a sunny warm day and this being a national holiday meant that what seemed like half of Athens decided to join the ever-present hordes of tourists, and a quiet spot around the Parthenon seemed like a utopian dream. Stepping into the old streets of Plaka from central Athens is always like stepping into a different world, a small bubble of what Athens used to be like before development without planning, reason or a modicum of aesthetic turned it into this concrete monster it currently is that’s at best an acquired taste. Yesterday, the discord between those two Athens was blatant to me beyond the usual visual reasons. Walking down the once busy Patission Avenue towards the centre, which was never a relaxing endeavor to begin with, has now turned into an exercise in depression– though at least I could pretend the nearly deserted streets were because of holiday closures, rather than the crisis having decimated small and medium businesses. Along the way, I passed along several families with giddy kids – in that universal ‘no school today’ way – and their harassed-looking parents, and while I’d never been one to get patriotic in the past, the concept of celebrating resistance and national identity now seems almost obscene. Especially this particular ‘Nazi resistance’ holiday (link to a brief though probably not unbiased video if you’re curious), at a time where we have actual Neo-Nazis in our Parliament and our relationship with Germany is…well, less than ideal. I have to wonder if the parents of those kids looked so grim due to normal parental exhaustion or a realization of what a joke the pageantry of the day is, and the kind of future their children will (not) have in this country they’re honouring. Plaka, on the other hand, seemed to be existing in a parallel universe that’s not the climbing suicide rates, obliteration of the middle class and complete dehumanization that is the current Greek economic reality. Most shops in the area cater exclusively to tourists, as do a good portion of the tavernas. A sign was proudly proclaiming “The most traditional meze restaurant in Athens. Heineken on Draft, WI-FI” (just like grandma used to make!) of dubious authenticity– after all, if you have to say it… Restaurant staff were standing nearby trying to entice/cajole/bully the tourists into eating there (alarmingly they seemed to think that included me, until I realized that my obliterated heat resistance from my time abroad meant that I was dressed like I would for 26 degrees in London, rather than Greek autumn). And every single seat not occupied by camera-wielding tourists was taken up by big groups of Athenians enjoying either their coffee or meze and wine/raki/ouzo combo, chatting loudly (mine is not a quiet people), smoking and generally seeming like something the Tourist Ministry could use in one of their “experience Greece” adverts. Being hit over the head with the blatant whoring out of every widely known bit of Greek culture for the benefit of tourist revenue is nothing new in Plaka. As is finding every café, bar, and not overly tourist restaurant overrun by young (and young at heart) fellow Greeks on a weekend (and then I remembered why I tended to avoid the area while living here, except for impromptu walks starting in the afternoon and ending at 4AM, standing on the Aeropagus rock near Athens, enjoying the best view of the city by night and trying not to get a contact high from the pot smoking wafting around courtesy of students and traveller types). But it feels different now. I don’t know if it’s whether the country has changed or I have, but I was unable to recapture that feeling of escapism that Plaka has always offered in the past, and rather became an illustration of the destructive power of denial (fun factoid: over 60% of young Greeks are unemployed, so flocking en masse for the state holiday is a matter of habit rather than having time off work). So past the ‘free for the day’ archeological sites I walked, past the always imposing image of the Parthenon (that I will definitely revisit on a day when it feels less like the circus of the absurd), past all that feels like Plaka on a Sunday, but somehow off. I ended up spending “OCHI day” sitting in a dive rock bar in my neighborhood, sipping Mexican beer, smoking indoors (the most quintessentially Greek part of the experience) and being amused at their flyers for ‘quiz night’ and ‘Halloween party’. It’s inauthentic, and culturally fragmented, and feels just perfect. I’ve found that those of us who left Greece to escape the bottomless abyss of economic despair tend to fall into two categories. Those obsessed with maintaining ties with home, closely following all news on Greece and constantly discussing how bad things have gotten and offering ideas of differing practicality/feasibility but uniform enthusiasm tinged with a touch of desperation. And then there’s the other group. Those who throw themselves into their new life and try not to think about what they left behind, whether because doing so is too painful or to assuage the guilt of feeling like the proverbial rat swimming away from the sinking ship. I’m firmly in the second category — hell, I’d say I pretty much embody it if it weren’t for the fact that my relationship and ties to my country have always been complicated, in the way that national identity is for all of us cultural mongrels (mixed country, army brats, anyone who’s spent their childhood dragged from country to country, gaining a lot of unique insight but losing something in the process). There’s a line from a Greek song my mother used to play when I was little that’s been on my mind a lot lately, loosely translated as “It’s one thing to die for Greece, and another to die from her”. For all that there are aspects of my country that I cannot abide, at my core, I love it. Desperately. But it doesn’t love me, or the rest of this lost generation (and the one after, and after) back. Loving Greece these days is a painful, and disappointing and entirely one-sided endeavor, hence why Greeks within and without her borders nowadays seem to be polarized into extremes, of either almost obsessive nostalgia, banging against the walls, embracing ugly nationalism or, in my case, simply cutting all ties. A funny thing happens when you return here. For all that it’s changed, for all that you’ve managed to reimagine your life as if your time here has never been, it still feels like regaining something of yourself that you hadn’t even realised is missing. From stepping outside the airport and being hit with blazing sunlight and 25 degrees in October, to being bombarded by questions and comments like “you’re nothing but skin and bones” (a phrase Greek mothers are required by law to repeat on a regular basis), to hearing updates on a range of people that you can barely remember and don’t particularly care about if you do, to witnessing the stark contrast between half the shops on your street being boarded up and people digging in the trash for food on one hand, and young trendy pretty things desperately having fun on the other, to feeling both safer and more exposed than abroad, it gives you that mixture of exasperation, and frustration, and fondness, and just rightness that only being back can bring. The truth is, no matter how I try to deny it, this place is in my heart, always. So with the perspective granted by time and distance, I will try to fully embrace all it has to offer, good and bad, and maybe along the way gain some understanding.